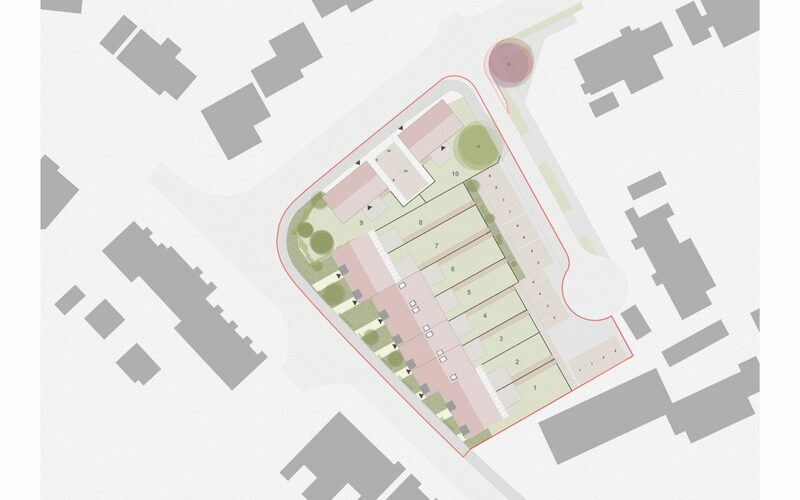 A considerate and characterful development of 10 dwellings carefully placed to address an open green belt fronting on Chapel Road. 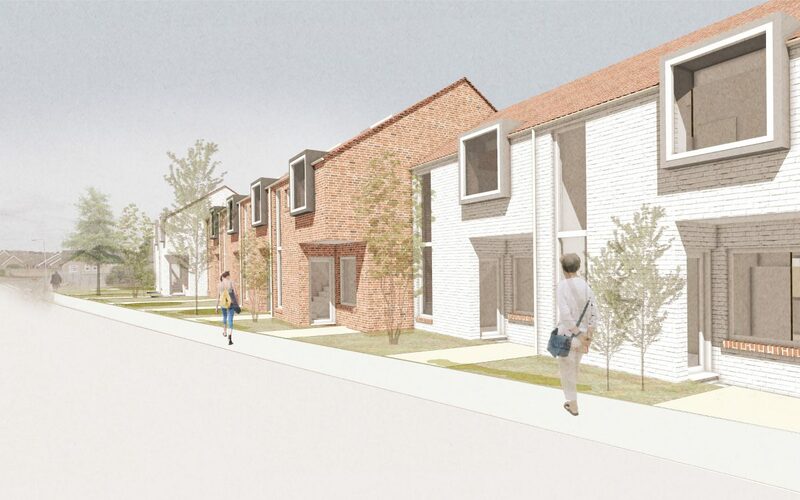 The design intent has been to create appropriate, well designed, well proportioned dwellings thatspeci cally address the site with regards to scale, materiality, generosity of light and space and preservation of open space. 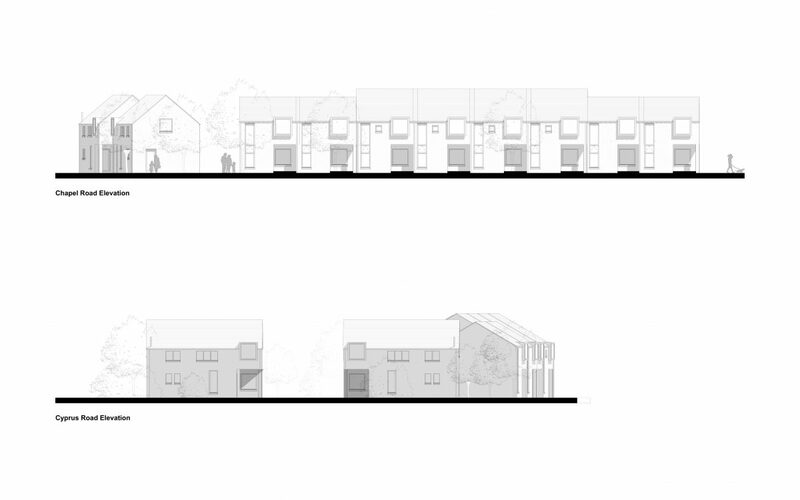 The terraced layout of the proposals has been chosen as a direct response to the prevailing typology of the surrounding suburban environment. The principal terrace address’s Chapel Road which also features terraced blocks along much of its length. 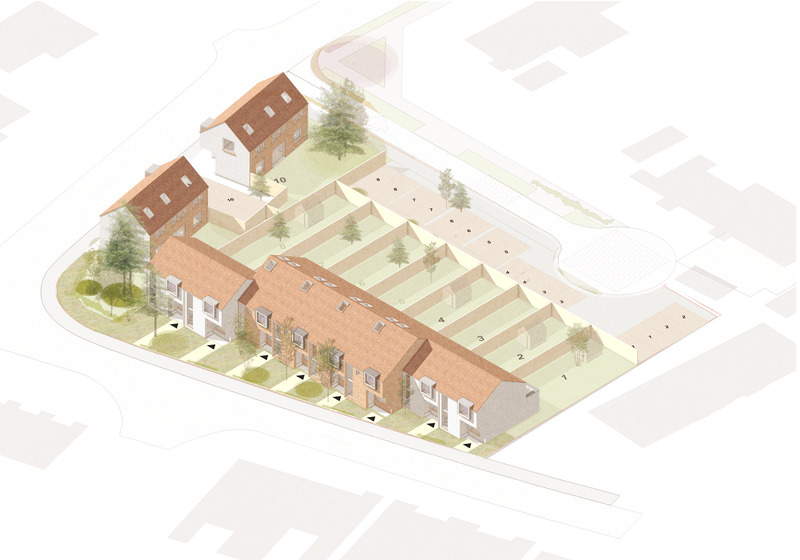 The development does not seek to replicate any of the myriad building styles of the surrounding dwellings, rather through the use of quality materials relevant to the local context it is believed the development will enhance and compliment the mixed grain of development in the area which has evolved over many years.